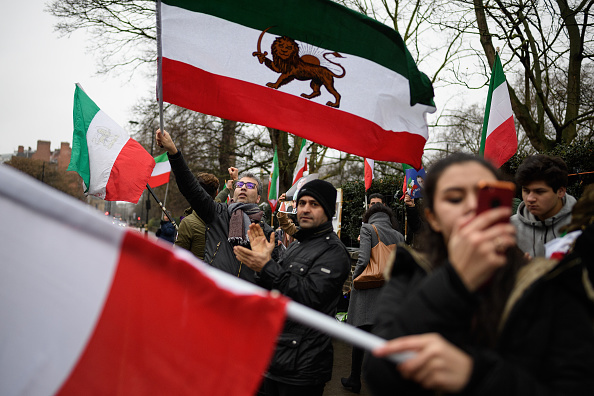 Anti-regime protestors wave flags as they demonstrate outside the Iranian embassy on January 2, 2018 in London, England. Protests in Iran have seen at least 12 people die during violent clashes over recent days. Protests have stretched into its sixth day in Iran, with at least 21 people dead. Anti-government demonstrations erupted last Thursday in several towns and cities, fueled mainly by economic woes the country has been experiencing. The protests are the largest seen in Iran since 2009, sparked in response to the disputed presidential election. Meanwhile, North Korea has reopened a border phone line with South Korea, signalling thawing of relations between the two Koreas. Earlier this week, North Korean leader Kim Jong-un expressed interest in speaking with South Korea about participating in the Winter Olympics in Pyeongchang, which led the South to suggest resuming high-level talks with the regime. Larry is joined by a panel of experts to talk about the quickly changing situations in these parts of the world.